Science shows there are clear benefits to nurturing what we think of as childlike qualities. Do you remember the sense of wonder that came so naturally to you as a child? When everything from the stars in the night sky to an empty cardboard box could fire your imagination and make you feel alive? As you grow, if you’re lucky, you maintain this capacity for wonder and the desire to seek it out. But it’s an uphill battle. The realities and responsibilities of adult life consume most of your time and attention. At work, stressful situations and constant distractions can leave you feeling very far away from the version of yourself that is capable of finding beauty, mystery and meaning in the world. But there’s good news: Research shows you have more power than you probably realize to tap into your sense of wonder, no matter what your environment is like. At work, at home, and in between, there are steps you can take to cultivate and renew this sense — with benefits for your performance, well-being, and sense of purpose. This Thrive Guide will show you how to tap into your sense of wonder and awe in a fast-paced, hyper-connected world, in ways that will enlarge your perspective and enhance your performance. You might think that wonder and awe aren’t compatible with work, or that even trying to tap into something larger than yourself in a work environment is a losing game. But here’s some good news: No matter what profession you’re in, there are steps you can take to connect with that larger sense, and in doing so enable yourself to find more success and satisfaction. That’s where the Thrive Global Microsteps come in — small, science-backed changes you can immediately incorporate into your daily life that will have a big impact. Along with all the new science and research around wonder and awe, new apps and products are out there to help you rekindle that childlike magic. In our Tech to Thrive section, we’ve curated the best technology that can bring you closer to the parts of yourself you might have thought you’d lost — the parts that let you dream big, take risks and refuse to be limited by the status quo. If you’re a manager, you have an immediate opportunity to engage and inspire your direct reports by making wonder and awe a part of your team’s dynamic. The Managerial Takeaways section offers advice to managers on how this can not only boost individual performance but improve company culture and even help the bottom line. In the guide that follows, we’ll share research, data and practical advice to help you connect — or reconnect — with the wonder and awe that can propel you to new heights of well-being, performance and fulfillment. Work is a place of demands and stress, and the rest of your life is where you find meaning and fulfillment, right? That’s certainly the conventional wisdom. Even if you love your job, you still probably compartmentalize, at least to some degree, associating work with a certain set of activities and emotions, and the rest of life with, well, the stuff that makes life actually worth living. But it doesn’t have to be so binary. Research published in the journal Human Relations, for example, found that people who tried to maintain strict distinctions between work and home life were more likely to experience stress, with consequences for their performance. After all, you’re the same person whether you’re at home or at work, whether you’re typing at your desk or lounging in your favorite chair. You like the same things and love the same people. You have the same interests and the same hopes. But we’ve been conditioned to think of work and life as separate, unrelated, and even in opposition to one another. And when we close ourselves off to certain experiences and emotions, we can pay a price. “When we don’t bring our whole selves to work we suffer – lack of engagement, lack of productivity, and our well-being is diminished,” according to Mike Robbins, author of Bring Your Whole Self To Work. All it takes to turn this around is a subtle shift in your mindset. Because whether you’re at work or not, being open to the full range of experiences and emotions — and in fact intentionally exposing yourself to what inspires you — can be the ultimate win-win, improving key aspects of both your work and life. In recent years, new studies have revealed a number of benefits to experiencing wonder and awe. For example, awe can improve physical and mental health, including lowering the risk of depression, heart disease, type 2 diabetes and arthritis, according to a 2015 study from researchers at UC Berkeley. And the effects of an awe-inspiring experience can linger long after the experience ends. 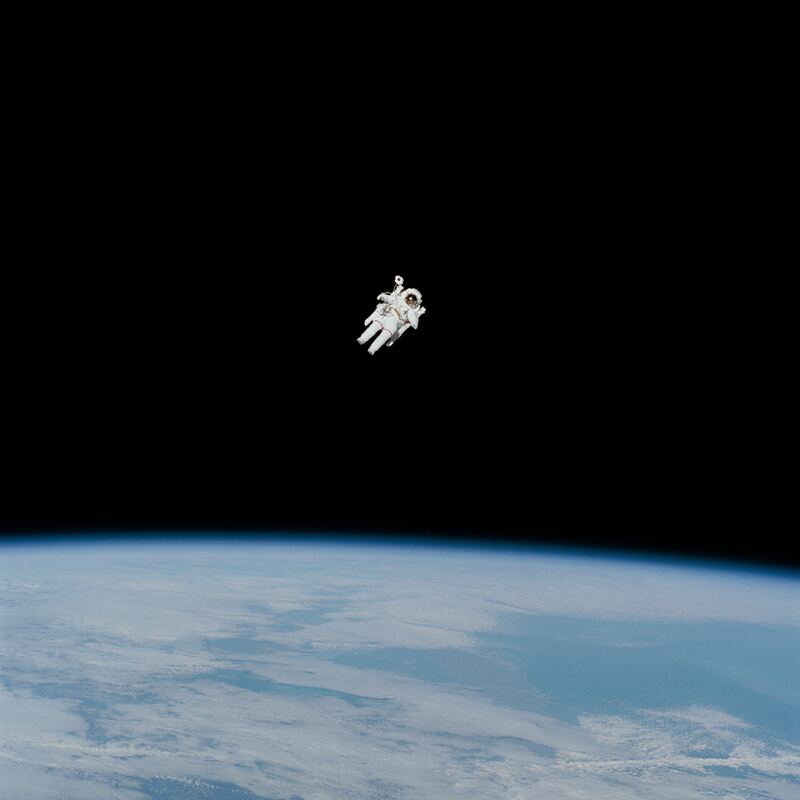 Astronauts have often reported transformational experiences when they looked back at Earth, a phenomenon that has been dubbed “the overview effect.” According to researchers at the University of Pennsylvania, astronauts frequently return to Earth with an increased sense of life purpose and connection to others. When the 2017 solar eclipse spanned the entire United States and was visible in parts of South America, Africa, Europe and Asia, it wasn’t just a phenomenon of epic proportions. It inspired such wonder and awe — across borders, time zones, cultures and languages — that people couldn’t help but think differently about their relation to one another. But they don’t need to be big things to have an effect on us. Sometimes even a small reminder of what matters to us can help shake us out of autopilot mode, even for a moment. Have you ever glanced at a picture of someone you love in the middle of your workday — a wallet-sized photo, or a favorite image saved on your phone — and felt a jolt of joy and optimism? Have you ever found that carrying something physical with you — a piece of jewelry, say, or an article of clothing — can evoke memories of a person or place that matters to you? Today, there’s a wealth of science showing how this sense can not only fuel our imaginations but help us improve our performance and be more satisfied with our lives. And we can train ourselves to look through a different set of eyes and be more present in our lives. Armed with this knowledge, you’re ready to start incorporating microsteps into your life. 1. Plan a visit to your local museum or art gallery. These places remain among the few oases that can deliver what has become increasingly rare in our world: the opportunity to disconnect from our hyperconnected lives and experience the feeling of wonder. Just a few minutes during the day can make a big difference. Simply being outdoors and surrounded by nature not only improves your well-being, but inspires you to be a more creative, more present version of yourself. Wherever you are, allow yourself to take in the wonders around you: the sky, the stars, mountains, clouds. Taking time to appreciate beauty, vastness, and mystery has benefits that last long after you’ve stopped looking up!